Welcome to our site. It is here to help you get a better feel and understanding of who we are and how we operate. Our site will also give you more insight on our services and how we perform for our customers. You will receive high-quality professional moving services from ABOUT THE MOVE Moving Services. Whether your project is large or small, our team of expert movers can provide the resources and solutions you need to get the job done right. Our track record for consistency, timely service, and subject matter expertise make insurmountable tasks possible to overcome. Complete customer satisfaction is our number one goal. We are a company you can trust with your possessions. We treat your possessions as we would treat our grandmother's things. ABOUT THE MOVE is a fully licensed and insured moving company serving Alabama, Florida, Mississippi and the surrounding areas. We are the moving professionals you can trust with your local and long-distance moves. We do not use temps or day labor and all of our trained movers and drivers have been carefully screened and background checked. We charge on an hourly basis with no hidden fees (i.e. no mileage charge, no weekend or evening charge, no driver charge). Call us for your free moving estimate. We would prefer to come do an in-home estimate, if you are within the reasonable driving distance, to get a better idea and make a better judgment on the moving estimate. We want to be as accurate as possible when giving moving quotes because we are not the type of company to low ball just to get you in the door. ABOUT THE MOVE wants to be the best residential and commercial moving company you will ever use. Our multifaceted company is here to assist by providing our services at affordable prices. To speak with an experienced member of our staff, simply contact us at AboutTheMoveLLC@yahoo.com or give us a call. And visit us on Facebook. 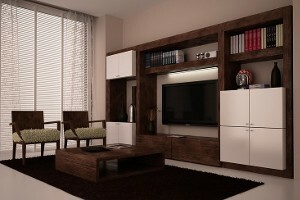 We also match or beat other professional moving companies rates. Our office hours are 7 Days a week, 7 - 5 pm. We take calls until 8 pm. Whether you are moving down the street or to another town, we're here to help with your relocation stress. 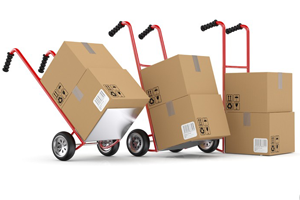 ABOUT THE MOVE offers a full line of moving and packing services. Securely protect your belongings, while ensuring safe and efficient moving with Loading and Unloading services from our trained & professional movers in Alabama and Florida. Decrease the clutter and stress in your apartment and life with helpful and efficient furniture assembly and organization services from the residential movers at ABOUT THE MOVE. As a leading provider of moving services, ABOUT THE MOVE takes pride in making sure your moving needs are handled with the best T.L.C. We are dedicated to serving the needs of our customers each and every day. Our experience comes from years of working in the field and working with skilled movers and moving companies. ABOUT THE MOVE Moving Services prides itself on professionalism and customer service. We specialize in the safe, controlled moving of your personal goods and furniture to your home/ office and or any other space required. Let us help you reduce the stress related to moving your belongings, leaving you with the peace of mind to concentrate on other important aspects of your relocation. We are a family owned company, not a franchise, that provides local and long distance moving with personal attention to detail. We know that customer service is one of the most important factors in running a business, that's why we treat our customers with utmost respect because (your customer is your employer). Thanks for taking time to review this and get a better idea of who we are. “ABOUT THE MOVE Moving Services is a family-owned company with a firm commitment to being the best moving company in Alabama and surrounding areas. Our company’s goal is to provide efficient, reliable, moving services on a timely basis at a fair cost. We strive to provide the best quality for the best price and staying true to our customer's. Honesty and courteousness will get you a long way. That's one reason we have a 96% referral rate. We provide a team of movers with the highest level of experience and integrity. Here to take the pressure off you, ABOUT THE MOVE is a credible and dependable moving company and we look forward to serving you". Call 855-768-3023 for moving services. Professional packing for commercial or residential.